The IE Fellows at the Wing Luke Museum. Photo by Rahul Gupta. The Asian Pacific Islander Community Leadership Foundation (ACLF) and the International Examiner (IE) are proud to announce the 2018-2019 fellows for our Advocacy Journalism Fellowship program, funded by the Seattle Foundation. Meet the 2018-2019 fellows: Palbasha Siddique, working with the Bangladeshi community; Clarissa Gines, working with the Laotian community; Sunny Ysa, working with the Cham community; and Jarret Finau, working with the Tongan community. 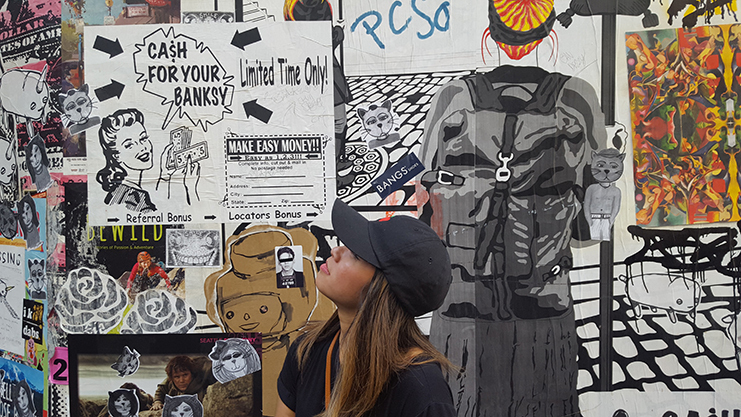 The Advocacy Journalism Fellowship program enters its second year and trains young Asian Pacific Americans (APAs) who aspire to be community organizers and media leaders. Fellows engage with and advocate for regional Asian and Pacific Islander communities that are underrepresented or misrepresented in the media. Throughout 2019, the fellows will learn about the communities’ histories, relationships and evolving struggles with the purpose of empowering those communities to mobilize and providing them with an appropriate platform to make their voices heard in the IE. Each of these underrepresented communities will have pages in the print edition of the IE and web pages dedicated to their voices, issues, news coverage and culture. 22-year-old Seattle native Sunny Ysa is one of four fellows participating in the 2018-2019 Advocacy Journalism Fellowship Program, with a focus on the Cham community. She was raised in Lake City for the first few years of her life, then moved with her family to South Seattle where she flourished and became heavily involved in the local Cham community until leaving for college. Her parents, both Cham refugees from Châu Đốc, Vietnam, fled the conflict in Vietnam and arrived in America separately as 11- and 12-year-olds in the early 80s. Her mother took the land-based route, by way of Vietnam, then Cambodia and Thailand; and her father went the sea-based route, sailing from Vietnam to Thailand to the Philippines and finally America. A 2018 graduate of Whitman College (in Walla Walla, WA), Ysa double majored in politics and history. Her thesis, which explored the intergenerational trauma of Vietnam War refugees, was the genesis of her inquiry into figuring out the navigation of retrieving these stories from the community. When she learned about the fellowship, she saw it as a great opportunity to continue the work she’s been doing in retrieving these stories but using a different approach. Instead of having to work within an institutional structure, Ysa feels that through the fellowship she will have more freedom and flexibility to do research and work with refugees in retrieving their stories. While she did it through an academic lens previously, this time around she will be able to proceed more as a community advocate and journalist. In addition to continuing the research she did during her thesis, Ysa hopes to gain a better understanding of what it means to be an ethnic author and translator, and how to translate stories for a different audience through the Advocacy Journalism Fellowship Program. She would like to figure out different ways of asking a question on the same topic and just learning more about the Cham community in general. As for future plans beyond the fellowship, she envisions herself pursuing a Master’s degree in Public Administration. Along with furthering her education, she sees herself working in some sort of position within the nonprofit, government, private or corporate sector that has a large social responsibility. While she will always be rooted in Seattle, she does dream of becoming a foreign service officer and being mobile — possibly spending some time in either Switzerland, Germany or Japan. Sunny also has a goal of obtaining her Ph.D. and becoming a professor by the time she’s 30. In her spare time, she likes trying out different restaurants and eateries — and taking pictures of all the food she tries! Sunny’s participation in the fellowship program was cut short by an employment opportunity. Originally from the small country town of Honokaa on the Big Island, Hawaii, Gines grew up as a first-generation immigrant of Filipino ancestry. Gines’ father immigrated to Hawaii to work on the plantation farms and eventually the processing plants until he was able to bring his wife over from the homeland in 1987. Two years later, Gines was brought into this world and ready to begin the American life that her parents sacrificed to provide. Gines attended college at Pacific Lutheran University in Tacoma, WA. At the beginning of her junior year, two changes came to her life. First, she found out that she was pregnant with her daughter Kailee. And second, she switched majors from communications to art history. Her father had wanted her to spend her time studying something more financially rewarding, such as nursing, so Gines compromised and decided to study communications over her passion of art. Recognizing this disparity in the representation of artists of color was impactful and influential for Gines. But at the time, she didn’t have the bandwidth to research further on top of trying to graduate and raise her daughter. It would be a couple more years until she would have the proper pathways to make up on what she was not learning with her degree. After she graduated from college, Gines held some odd jobs and spent a couple years as a stay-at-home mom. In 2012, she returned to her interest in art as a volunteer worker for the Tacoma Art Museum and then ventured further at the Museum of Glass (MOG). From her studies at PLU, she realized that the reason why many of the artists of color were ignored or skimmed over was because those artists were not given the proper platform to promote their works. 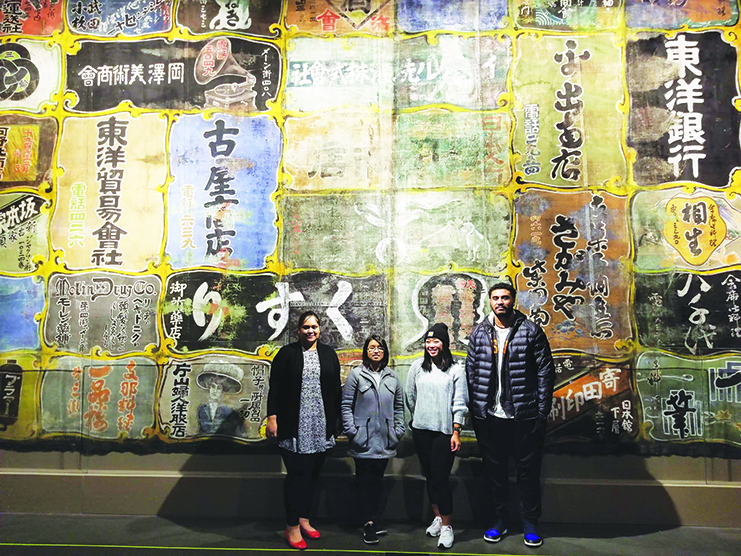 To not repeat the mistakes of the past, Gines along with her co-worker Rose Mathison from MOG had taken the initiative and founded the Culture Shock Collective (CSC). This organization cultivates support, outreach and creates continuous visibility for artists of color in the Tacoma area. Gines was able to get support for this organization by being accepted by the Spaceworks Tacoma Creative Enterprise Program in 2016, where the city of Tacoma offers select workshops for creative ideas. Currently, for the past four years, Gines has been the Collective and Exhibition Manager at the ArtXchange Gallery in Seattle’s Pioneer Square gallery district. Nevertheless, her quest to providing opportunities and educating the art community on the work of artists of color had not halted, but merely transformed. Gines was given another avenue to promote for artists of color when she was pushed by her arts editor to write reviews for the International Examiner for the past two years. Her passion had evolved these past couple years into social justice and equity. She is no longer just promoting these disenfranchised artists for art’s own sake but has seen another dimension that art can show from Americans of ethnic backgrounds. “Art is a vessel in addressing socio-political issues,” Gines says she realized. Art was something that she was already well versed in and now her interests had evolved into the understanding of social justice and racial equity aspects. It is because of this that she furthered her work with the IE by joining the Advocacy Journalism Fellowship, focusing on the Laotian community. Gines’ goal is to get hands-on experience and to work with giving a community not often represented or misrepresented – to give them a broader stroke in representation than just art. Jarett Finau was selected to represent the Tongan-American community in Washington state in the Advocacy Journalism Fellowship Program. Finau applied for the fellowship with hopes and goals to reconnect with his Tongan roots and culture here in the region and with the Tongan community throughout Washington state. Finau’s parents, Paul and Lynette Finau, immigrated to the United States in 1973 because they felt their life in Tonga was stagnant and there was little opportunity. Like most other immigrants, Finau’s family moved to the U.S. with hopes to achieve the American Dream. They initially tried out Arizona and California before deciding to make Washington state their home. In 1991, they got married, and their son Jarett was born in 1992. Finau grew up in Marysville, WA. He says his childhood was very Americanized. There were no other Tongan people in his area — in fact, very few people of color in general lived anywhere near where him. As a result, he lost his ability to speak his native language at a fairly early age, something he regrets, and that is something he continues to work on. Finau’s family chose to raise him and his siblings in Washington despite most of their relatives being in California, because they felt their kids could be exposed to and become involved in gang activity in California. They wanted to provide them with the best circumstances and opportunities while growing up. Football is a big part of Finau’s life and his family’s lives. His uncle, Vai Sikahema, is a former football player and the first Tongan to have played in the NFL. His babysitter was also a national player. Growing up around an aura of football and athletics, Finau soon became involved in the sport. His parents inspired him and as his talent was evident. His interest in football also kept him from participating in the street gang activity that his relatives were a part of. Football kept him busy with great activities and achievements. 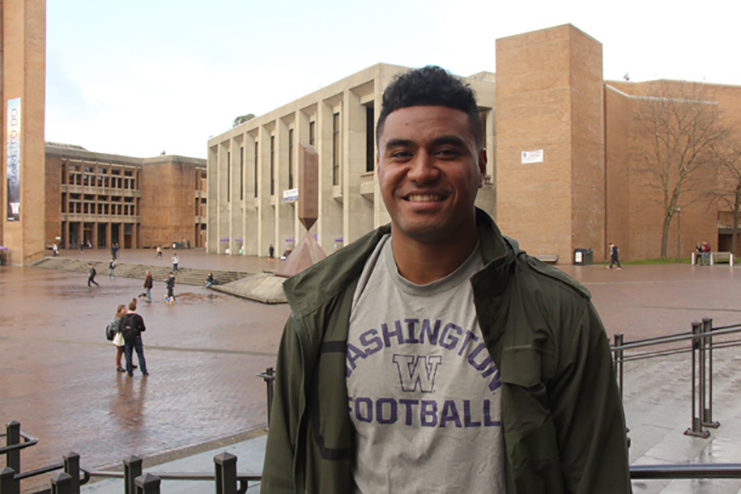 Finau started playing football in the 4th grade, and by the 9th grade, he was very good at it – good enough to earn himself a full-ride scholarship at the University of Washington. Throughout his time at UW, he played on the defensive end as a Husky. “I am not super passionate about it, but very thankful!” Finau said. He realized that football would be the most likely avenue for him to get into the college that he desired. Finau spoke candidly and honestly when asked about how most athletes get their tuition fully paid. He reflected that many football and basketball players come from the poorest socioeconomic backgrounds, yet they are the “richest cash cows” for schools. He also mentioned that the amount of academic pressure that is put on the athlete students as a result can be very high and unrealistic, because someone who must continuously prove themselves athletically, spending time in academic studies could be more challenging than the rest. Finau graduated from UW in 2015 with a major in Philosophy, a major he finds endlessly mentally stimulating. He particularly enjoys studying theology and the histories of cultures. Upon graduating, after giving law school some thought, Jarett decided to pursue a career in business and sales. He has worked for companies such as Cutco, Atavus Rugby and Bankers Life and Casualties. He truly believes in the process of elimination, and therefore, is open to trying out new things until he finds his true calling. Finau enjoys traveling, and has attended the Japan Sport Camp of America. He has also visited family in Australia, and more recently in Tonga. His long-term dream job is to be a traveling writer and reader. Finau currently lives in Kent, surrounded by family. He enjoys going with the flow and staying physically active routinely. He stays active in creative ways — martial arts, kickboxing, wrestling, Dutch-style Muay thai, Brazilian jui jitsu, just to name a few. Palbasha Siddique is an accomplished musician and a fellow of the Advocacy Journalism Fellowship Program with the International Examiner. 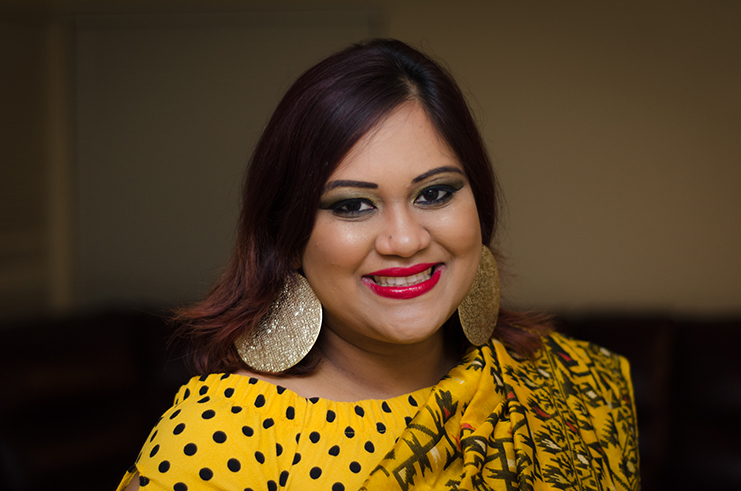 She will be exploring the regional Bangladeshi community, learning their stories and sharing them in the International Examiner. Siddique’s story starts in Dhaka, the capital of Bangladesh. Her childhood is marked by many experiences of moving around due to her father being in the army. She didn’t originally like living in Bangladesh , but her love for Bangladesh grew after coming to the United States. In 2001, she came to the United States with her mother and younger brother as her older brother was already in the United States. 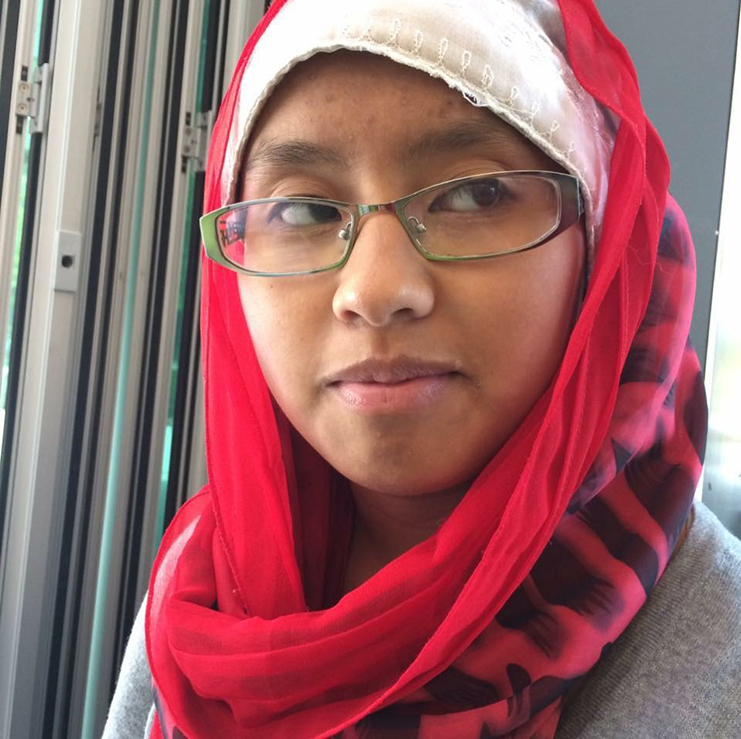 She was granted a music scholarship, allowing her and her family to stay in the United States. She attended the University of Minnesota where she graduated with a degree in Psychology. Siddique feels music is how she “gives back to the world.” It is through music that she believes she can best relate to others, not just those in her audiences, but also to other fellow musicians. Her music background starts with various music classes and schools she attended in Bangladesh and in the United States, having won a scholarship to attend the MacPhail Center for Music in Minnesota. Her most notable performance is a rendition of “Praan,” a song adapted from a collection of poems from Gitanjali by poet and musician Rabindranath Tagore. She has since released numerous albums and recently performed at Purdue University for the Fuad and Friends Bangladesh Artist Festival. Her music and performance is a creative mixture of old songs from the modern pioneers of Bangladeshi music and her own written compositions. Siddique actually met her husband through music — he called into one of her radio interviews, They married in July 2017, “the best decision I’ve ever made,” she said of her marriage. Her goals are to release another album within the next year or so and go on tour.Siddique is interested in the fellowship because she wants to become a better writer by developing her writing as a journalist and community advocate. She sees this fellowship as an opportunity to navigate and explore what it means to be Bangladeshi.